Gabe Maharjan (they/them) is a Montréal-based actor and theatre creator. They recently completed The Black Theatre Workshop’s Artist Mentorship Program in the actor’s stream and participated in Playwrights’ Workshop Montreal’s Young Creators Unit. Gabe is currently developing a new play through Teesri Duniya’s Fireworks program. They graduated from the Dome in 2017. 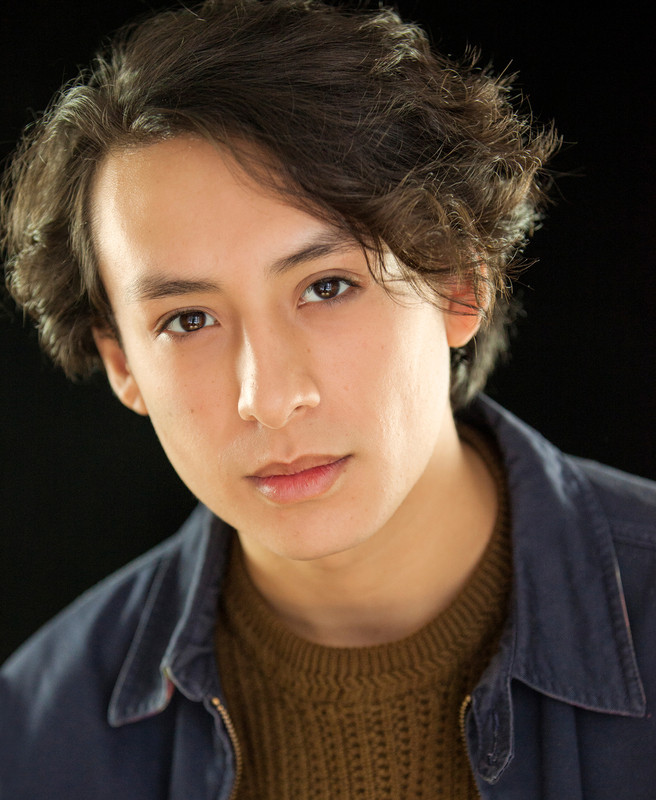 A selection of Gabe’s credits include Haemon in Raise the Stakes’ Antigone, Eddie in The Last Wife as part of Imago’s “Her Side” festival, and Kyle in KaleidoscopeMTL’s fringe play, Memento Mori. Gabe voices Hayao in Epsilon Games’ Primus Vita. They made their directorial debut in September, when they produced Rajiv Joseph’s Gruesome Playground Injuries (Playground Productions). Gabe most recently performed in […]Morph (Acherontia) and Don’t Read the Comments (Sermo Scomber) at the Montréal Fringe in June. And the horns blare! Jackie Shane’s 1960’s hit Any Other Way took her from near obscurity to sensationalism. Jackie stood out with her androgynous look, dark skin, and versatile voice; but in less than a decade she disappeared from the music scene altogether. History seemed to have forgotten her. Jackie Shane, AMAB in her segregated hometown of Nashville in 1940, was raised in the house of Marion Jane; Nashville’s queen of blues. With some rouge on her lips, Jackie made her way to Montreal in the early 60’s and fell in love with the city’s open-minded ideals and night life. Jackie stumbled upon an audition call at the Esquire Show Bar on Stanley for Frank Motley and his Motley Crew, an internationally touring RnB band. She booked the gig and quickly became the frontrunner of the group. The band eventually relocated to Toronto where Jackie stood out like a black trans thumb in the mostly white conservative city. Her unique style and southern Chitlin’ Circuit sound was new to Torontonians and her novelty let her get away with crossdressing. Shane even performed in white-only clubs like Le coq d’or and The Edison. Jackie maintained that she was better able to build a career for herself in Canada than the States. It was Jackie’s version of Any Other Way that sealed her place on the scene. Her sincere and soulful voice, and the double entendre she brought to the line “tell her that I’m gay” peaked the interest of listeners in the region. Stations at first refused to interview her or broadcast her music, but as the song climbed the regional charts it became such a hit that they were forced to play it. It was so popular that the song was re-released five years later and climbed the national charts. Jackie started performing alongside musicians like Hendrix and James Brown, and she appeared on one of America’s first all-black music television programs where she beamed her preacherly stage presence that audiences fell in love with. Despite her popularity, Jackie’s success was stifled in Canada’s Pre-CRTC industry. Canadian content was not mandated, and nearly all recording companies were in the States. Jackie left Canada for reasons unknown at the time and fell out of prominence in the 70’s. By the 90’s, she had ostensibly disappeared—rumours were that she had committed suicide or was murdered. It was only five years ago when Jackie remerged with claims that her adventures post-stardom involved parallel careers as a dancer, drummer, vocalist, gambler, and carnival side show act; alongside gangsters, con artists, and kidnappers. Upon this discovery, she was reached out to by many of her former colleagues to get her career going again, but this never came to fruition. A resurgence of interest has come up surrounding her, and to this she responded, “I never realized that I’d still mean something to people all these years later,” (Globe and Mail). Before Prince, before MJ, before Bowie, there was Jackie. She may have been the drop that set off the ripple effect that is the Western contemporary queer-pop aesthetic. As a transfeminine person of colour living in a mostly accepting artistic community today, I can only imagine what it was like for Jackie half a century ago. I want to explore what we do and do not know about Shane. Now is the opportune time to undertake this exploration since many of the people who saw Shane perform, and Shane herself, are still alive. From performing in the limelight to travelling with the circus, Jackie has mostly lived life as a dissenter. This trove of experience offers a diverse set of circumstances to play within, and through Jackie we can embark on a Künstlerroman of self-discovery in a sundry world. I want to challenge the idea that identity is static and explore how one’s relationship with self develops over a lifetime. In 2017, Shane publicly confirmed that she identifies as a woman. I wonder about all the experiences that led up to her publicly coming out, and I’m curious to know if her identity is still developing even as she approaches her eighties. There lies a universal truth to Jackie’s story: the struggle of being different in a world that seems not yet ready for you. As progress manifests in society, marginalized people are often left to wonder, “was I born too soon?” But Shane never let time nor circumstance dictate who she was, and her ability to transcend social norms with such grace and power is a lesson in survival that must be shared.